This is the grail for all true couch potatoes, a TV so large and so beautiful you'll likely never want to watch anything on any other device again. The Samsung Q8C UltraHD TV is just one step below the company's flagship model, but that doesn't make it all the less special. The 55" model of the Samsung Q8C UltraHD TV is going to set you back $3499.99 — hardly peanuts. But perhaps the joy of knowing your home, or a family member's, is set for hours of excellent TV viewing, is worth it. One of Skullcandy's latest headphones is the Venue, a $180 set that's a reasonable buy in a world of $400 headphones. Here you're getting active noise cancelling, a connection to smartphones via Bluetooth — and their wireless. So if your couch potato wants to move around a bit, he won't have pesky cables to trip him up. Skullcandy's Venue is also embedded with Tile, the tracker that lets you locate things from a Bluetooth connection. Leave these in the kitchen accidentally and you can ping for them instead of walking around the house in a daze. Venue only comes in both white and black, and has 30 hours of battery life before you need to jack them into a power source again. If you're spending a lot of time inside, the air you breathe in there needs to be pristine, or at least as close as you can get. That's where Awair steps in, an air monitor that tracks carbon dioxide, dust and other particles — plus also reads the temperature and humidity inside. You can use Amazon Alexa, Google Assistant, and IFFTT to also run Awair. What's nice about the device is it has an old-fashioned wooden radio look to it, along with a front LED screen that gives you a reading about your air on a scale of 1 to 100. 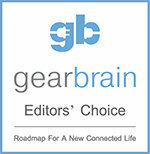 You can buy Awair on its web site for $189 or for $199 on Amazon. The TiVo Bolt Vox is an Amazon Alexa-Integrated device that blends streaming media with a DVR in a small box that sits neatly on your TV stand. Plus, depending on which size you buy, you can be tuning in — and recording — up to four different shows, while watching a fifth one from the DVR. TiVo Bolt Box starts at $199.99 for the smaller storage option of 500GB, plus expect to pay a monthly TiVo fee of $14.99. 500GB is available at Best Buy for $169.99. The Lenovo Smart Display comes in two sizes: an 8" screen for $179.99 and a 10" screen for $249.99. At Best Buy, 10" screen is selling for $229.99 and 8" is selling for $179.99. The Sonos One is the Amazon Alexa speaker you really want to consider. Far better sound quality than the entire Echo range, it also has Alexa baked inside. So it works essentially as an Echo, but can't call other Echo devices and can't take advantage of the drop-in feature. Buy at Best Buy or Amazon for $199 for one and $379 for two..
For gamers who also want streaming media features, the Nvidia Shield is a stylish and truly inexpensive option. You get 4K HDR, Dolby Atmos, and hundreds of apps from Netflix to FandangoNow built in. Gamers will be pleased to know you can absolutely play Fortnite and PUBG, and also access Android games as well. The Nvidia Shield with a controller and remote is going to set you back $179 for the standard version, $199 for the gaming edition and $219 for the smart home option which has Google Assistant inside, along with a SmartThings hub. Robot vacuum cleaners are far from high-end luxury items today. This little gem from iRobot, the Roomba 614, is a cleaner that plugs away while you — or a pal — are lounging about on the sofa. The robot uses rotating brushes to sweep up dirt and then vacuum them up into its tank. You can expect about an hour of use from this model, before it needs to be charged up again. For $250, the Roomba 614 will know to return to its charging station when it needs powering up, and moves around fairly gently so it doesn't scratch up walls or expensive furniture. The company doesn't sell this model on its site, pushing you to the 675 model for about $300. But you can still find the 614 at Target for about $250. Listen if you're a true couch potato, or have one in your life, then any excuse not to get up from the sofa is welcome. 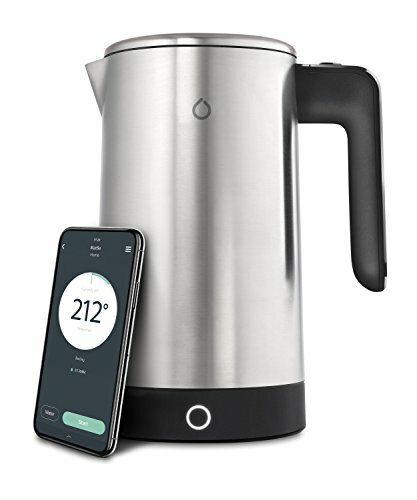 iKettle is an electric water kettle that lets you start the boiling process through a smartphone app, both iOS and Android. The iKettle will also send you an alert when the water inside has hit the temperature you desire — and a sensor tells you how much water is still left from the last time you brewed a cup of tea. Want to make sure you have water boiling at lunch time? Set an alert. And you can put the kettle into standby mode so it holds that temperature for a solid 40 minutes. For the version with a U.S. standard plug, you can find it for $149.99 at Best Buy.